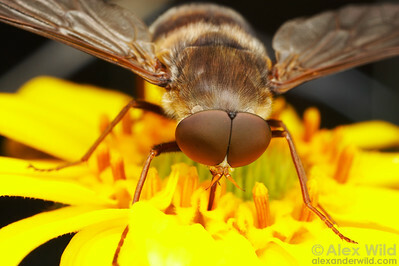 Frequently misidentified as a bee, Eristalis is a bee-mimicking hover fly. Flies are also important pollinators. Urbana, Illinois, USA. 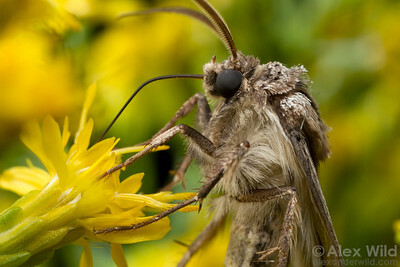 A long-tongued horse fly probes an aster for nectar in southeastern Arizona. 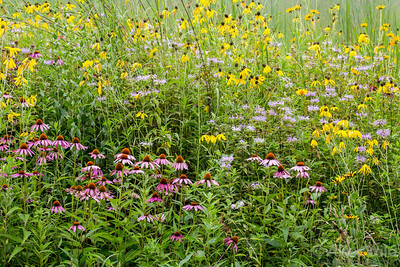 Although bees receive most of the praise for pollination, flies are the more important partners for a great number of plant species. Chiricahua Mountains, Arizona, USA. 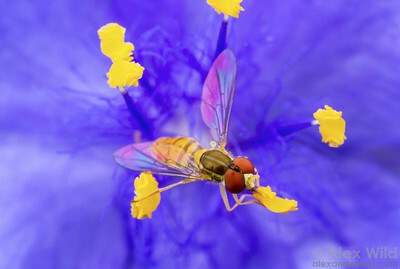 A small hover fly visits the morning bloom of a spiderwort. Urbana, Illinois, USA. 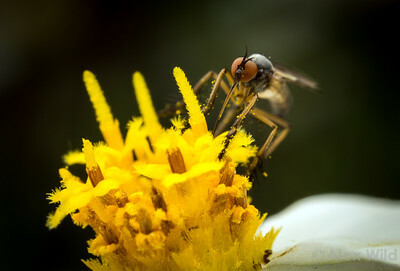 A dance fly gathers nectar from a black foot daisy. Austin, Texas, USA. 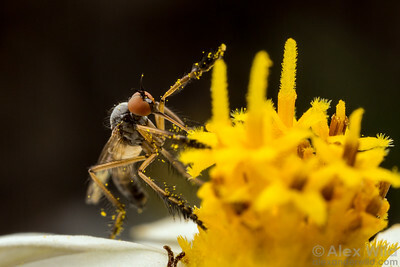 This dance fly is positvely grubby with daisy pollen. Austin, Texas, USA. 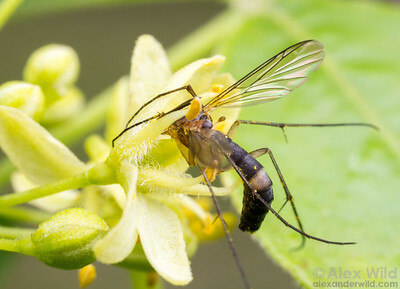 A fungus gnat goes all in for a sip of wafer ash (Ptelea trifoliata) nectar. 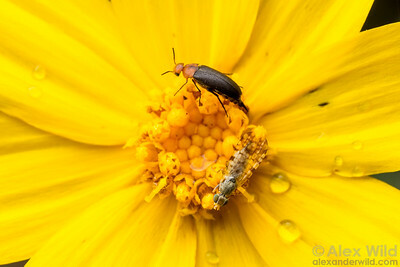 Note the pollen clinging to the insect's legs and abdomen. Austin, Texas, USA. 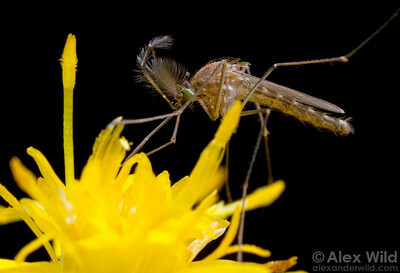 A male mosquito takes nectar from showy goldenrod (Solidago speciosa). Mosquitoes play ecological roles beyond mere blood-feeding!Urbana, Illinois, USA. Beetles, too, are underrated as pollinators. 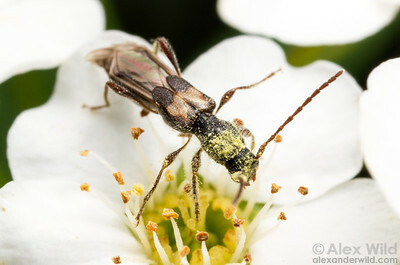 This longhorn is a veritable pollen-transport machine. Urbana, Illinois, USA. 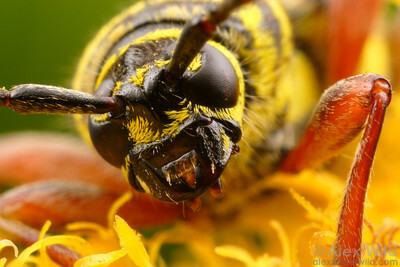 Close-in with a locust borer beetle on a fall goldenrod blossum. Champaign, Illinois, USA. 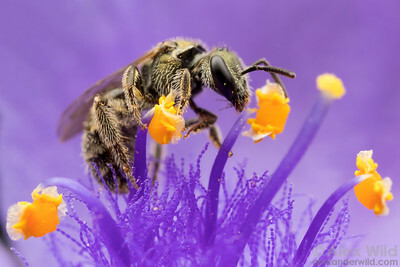 A sweat bee vists the first spiderwort of spring in an urban prairie garden. Austin, Texas, USA. 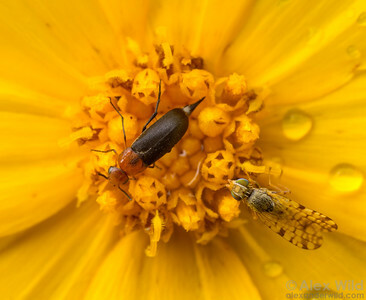 A tumbling flower beetle (Mordestellina sp, Mordellidae) and a fruit fly (Dioxyna sp., Tephritidae) share space on a late spring aster. Austin, Texas, USA. 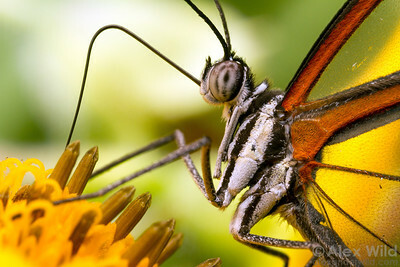 The long proboscis of a captive glasswing butterfly probes for nectar. Green Hills Butterfly Ranch, Cayo District, Belize. 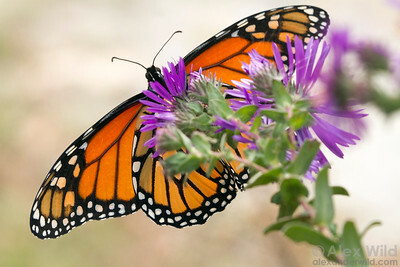 The iconic monarch butterfly is widely known and respected as a pollinator, but these handsome insects are less important than beetles, bees, and flies in this role. Urbana, Illinois, USA. 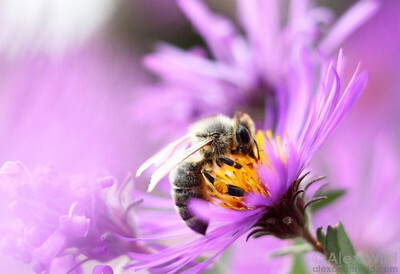 New England aster is one of the last flowers of the season, and can be an important source of nectar and pollen for overwintering honey bee colonies. Urbana, Illinois, USA. 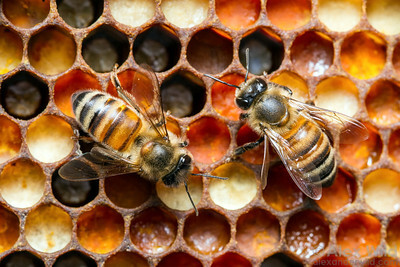 Pollen from different plants present a variety of colors when packed into the combs of a honey bee hive. Urbana, Illinois, USA.